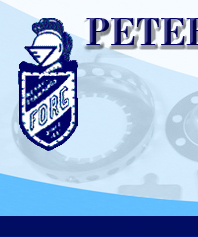 With presses from 8 ton to 500 ton capacity Peter Forg Manufacturing has the equipment and experience to handle all of your metal stamping requirements. From short run to long run and from blanking to deep drawing, Peter Forg Manufacturing has what it takes to turn your prints into parts. Custom Washers . 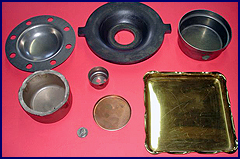 From ¼" diameter to 28" diameter Peter Forg Manufacturing has round dies in all sizes in between to produce a large range of washers and discs in most any material such as aluminum, steel, stainless steel, and most other alloys. 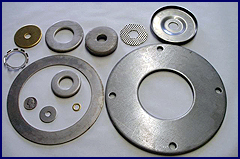 Discs, Slugs, circles, diaphragms, blanks, whatever you want to call them, we can make them, from .003 thick to .75 thick in all metals such as aluminum, steel, stainless steel, and most other alloys. Peter Forg Mfg. 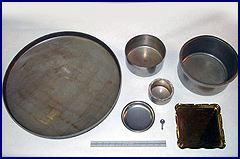 has the capability of deep drawing cups, pans, cans,covers or heads up to six (6") inches deep. We can satisfy all of your deep draw needs. At Peter Forg Manufacturing no job is too small. 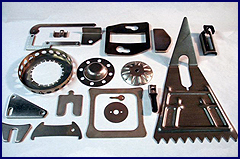 We specialize in short run and long run stamping and will stamp out any quantity that our customer needs.